Exam time is approaching. And for many youngsters around the world, that means they are turning to the internet as a global information source to help with their revision and preparation. But not in Algeria. Because for the third year running, the government there is planning to shut down the internet during exam times. Algeria’s third annual internet shutdown! According to the Algeria authorities, this is a simple strategy to prevent students from being able to cheat. But for many, it is a sign of the Governments increasing online censorship efforts ahead of the country’s Presidential elections in 2019. Algeria’s communications minister, Houda-Imane Feraoun, has confirmed that the government plans to restrict online access across the country during the first hour of exams between 20 June and 25 June. According to her, this action is being taken to stop students from being able to share information about the exams online. The blocks will affect both regular ISPs and mobile network providers. But some VPNs are also expected to be impacted. 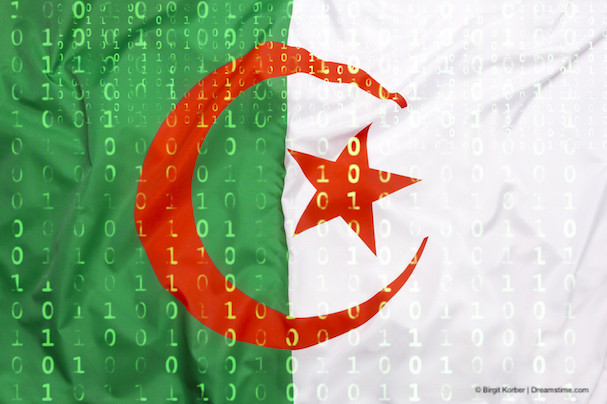 According to some reports, Algerian authorities are already taking steps to try and block access to a number of VPN and proxy services which are popular in the country. Both ZenMate and TOR are reported to be in the process of being blocked entirely in Algeria. Although, given that country’s with far great economic power than Algeria have so far tried and failed to block VPN services, it remains to be seen how effective these efforts are. But it is the increasing online censorship and controls which are causing more alarm. In recent months, a number of websites have been blocked in the country, with a particular focus being put on the Kabylie region in the north of the country, where there is an active independence movement. Affected sites include Siwel, a press agency which is supportive of Berber self-determination in the region, K-Direct, and Radio Kalima, both of which cover news in Kabylie. Meanwhile, in a high-profile court case which took place in Algeria last month, Merzoug Touati, an Algerian blogger was sentenced to ten years in prison as a result of an interview he carried out with an Israeli diplomatic. He was charged with the offence of providing “intelligence to agents of a foreign power” in a trial which has been condemned by Amnesty International and a number of other human rights organisations. In this climate, and with Presidential elections due to be held next year, it is little wonder that people are wary when the government repeatedly shuts down internet access in it’s entirety across the country. Especially when the reasons given for the shutdown are so tenuous. In other country’s they simply ban students from taking internet-enabled devices into exams rather than shutting down the internet completely. Regardless of the official justifications for the move, it appears to be increasingly part of a pattern. And evidence from those working within Algeria’s telecoms industry is hardly reassuring. In reporting this story, the Middle East Eye website quotes an IT security official from an Algerian mobile phone company who gave a deeply concerning insight into the current situation. “We have been under a lot of pressure from the authorities to install network monitoring and interconnection equipment to monitor the internet and, if necessary, disconnect the connection,” he told the website. “Net censorship [this year] will be better coordinated and more effective [than previously]”. The picture he paints is of a government honing its abilities to control online access and censor or shut down access at will. The potential impact this could have on the forthcoming election is obvious. It is therefore little wonder that many Algerians are already using a VPN to connect to the internet freely. It seems likely that this latest shutdown is going to convince more of the need to use one. Despite the Algerian Government’s efforts, most VPNs are still fully functional in the country and the top-rated providers, such as ExpressVPN and NordVPN, still offer an excellent and fast connection to a free and open internet. So, for Algerian’s who want to escape the forthcoming internet shutdown, their government’s growing use of online censorship to restrict public access to news and information, and to be sure that they are in possession of all the facts ahead of the Presidential election next year, a VPN is increasingly a must-have online tool.